With sophisticated imaging technology we are able to photograph the light sensitive tissue, called the retina which lines the inside surface of the eye. The retina is responsible for processing information which is then transmitted to the visual cortex in the brain through the optic nerve. Digital imaging of the retina is therefore a vital part of your eye examination and is one of the most efficient ways of monitoring the health of your eyes. Our highly skilled optometrists can then view these images on specialist software to examine your eye health in detail. These images are stored and form an invaluable record and will be used for comparison when you next have your eye examined. 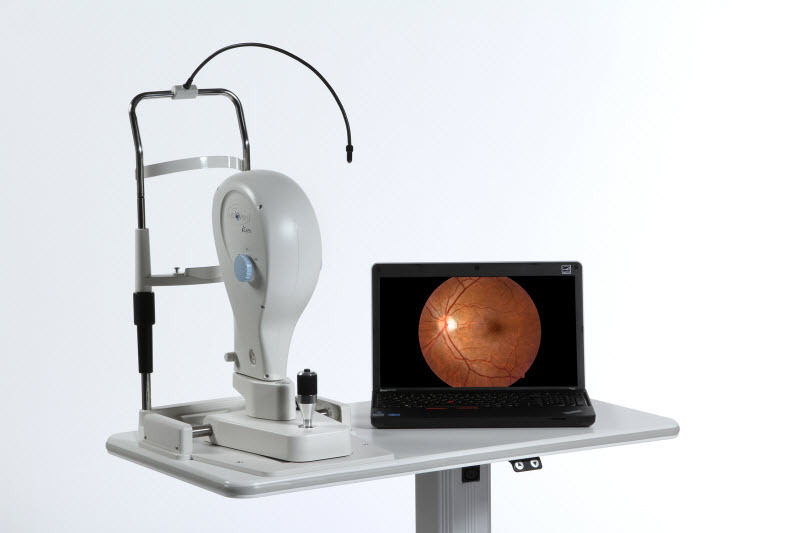 Conditions like Diabetes and Glaucoma are best monitored with this type of camera system.